This is a perfect high school graduation gift idea for the college student that loves panda bears! Plus this design is just an adorable addition to dorm room decor. 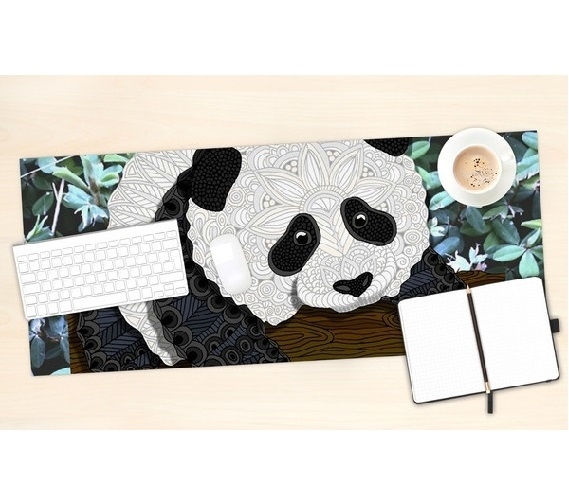 The amount of cute design elements in our Artsy Panda Desk Mat is simply stunning. First, the background features a photo of leaves. On top of that leaf background is a panda bear on a branch. It may seem like just a simple panda sitting on a bench but when you look closer, you will see that this is an artistic panda that has gorgeous, intricate designs in black and white colors to make the panda. The only problem may be looking away from this stunning design! 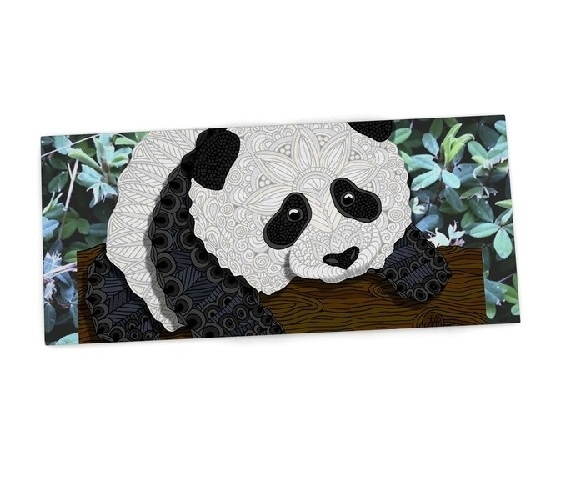 Our Artsy Panda Desk Mat is designer styled so you will have some unique dorm essentials in your college supplies list. A dorm desk mat is one of those dorm necessities you don't want to go to college without. It will cover up some of those scratches from previous college students plus it will give you a steady work surface. The soft neoprene dorm desk mat is non skid and won't indent, scratch or stain. Plus it will be a reliable surface for your laptop mouse and will hold your college supplies in place while you work!